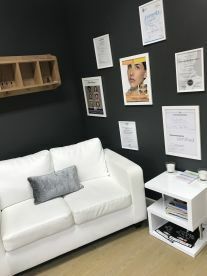 Our talented aesthetic practitioners are highly trained to serve you a variety of treatments, which will leave you feeling revitalised, refreshed and glowing. 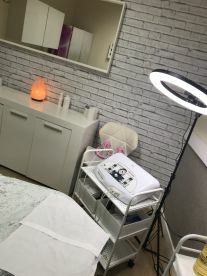 From therapeutic facials to beautifying nail services, there’s something on our menu to suit everyone. 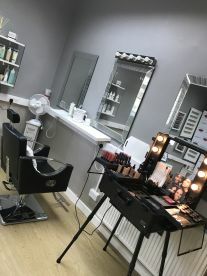 Our quality-focused approach and high-calibre products mean our customers are always impressed by the excellence of our services - why not pop in and try them out for yourself? 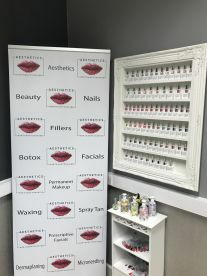 We draw on our strong beauty expertise to pick the best products for our Aesthetics Northamptonshire salon. We work with popular salon-quality brands and use luxurious, effective products which are guaranteed to leave you with fresh, silky skin. For our spray tans, we use a brand which is used by celebs for its light fragrance, flawless finish and fabulous results. Enriched with antioxidants, the formula is applied evenly and brings you an immediate radiant glow, which develops over time and leaves you looking and feeling great. 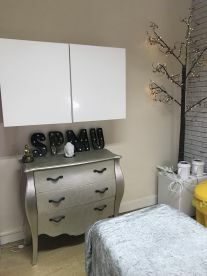 Our beauty salon is the very best in town: from waxing, facials and body wrap services, we offer unique treatments that will make you feel like a star. You’ll leave us looking and feeling wonderful - with snazzy new sun-kissed skin and polished nails. The whole package! We’re open when you need us, so pop by now or contact us to book a meeting. 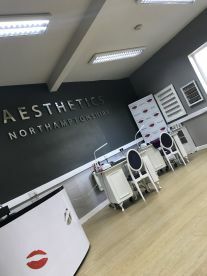 Please note that Aesthetics Northamptonshire may not be able to honour booking requests made.